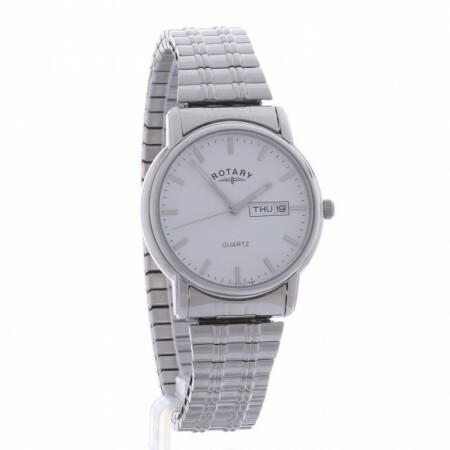 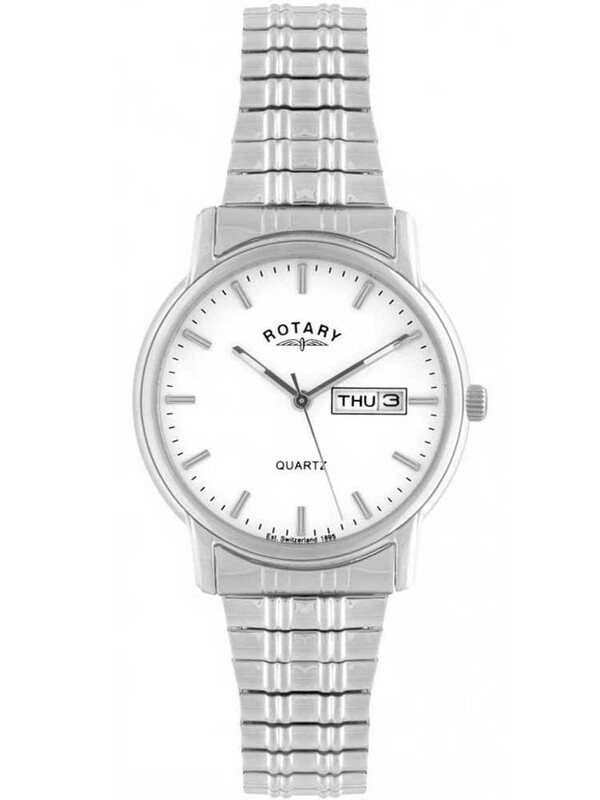 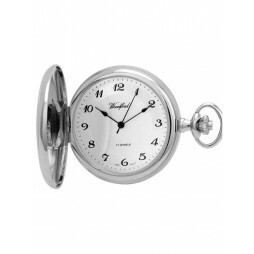 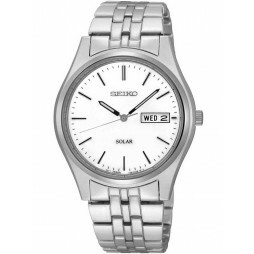 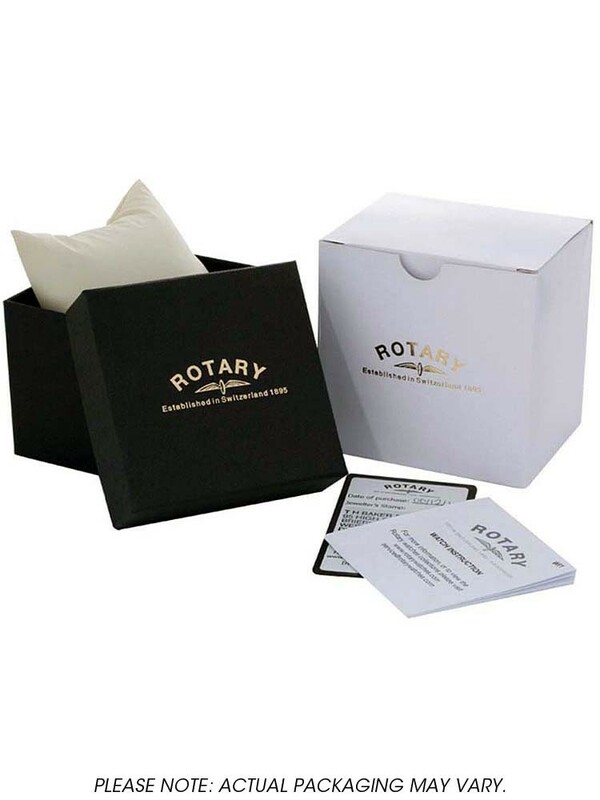 This classic looking stainless steel bracelet watch from Rotary offers style and sophistication. 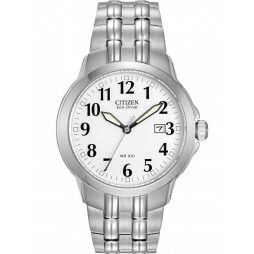 The expandable bracelet is teamed up with the stainless steel casing. 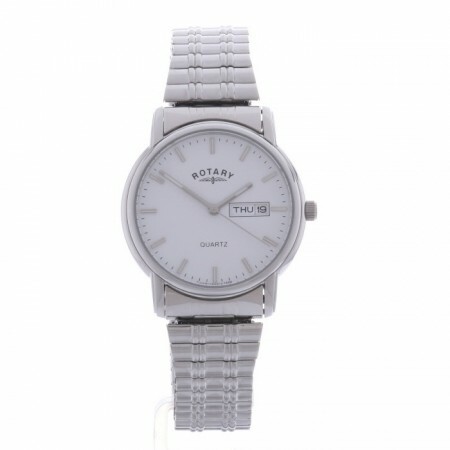 The white dial displays the day and date at 3 o'clock.